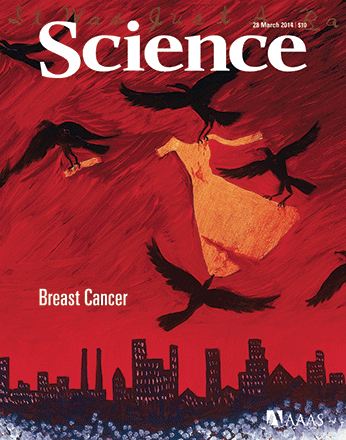 There are eight articles in Science, commemorating the cloning of the BRCA1 gene twenty years ago. In an editorial, surgeon Benjamin Anderson highlights the scientific progress in diagnosing and treating breast cancer but also expresses concern about women in low- and middle-income countries. Kelly Servick presents worldwide data, showing how there have been substantial gains in wealthy countries like the UK, USA and Australia, where mortality has decreased significantly over the past three decades. In contrast, mortality has continued to increase in Korea, Japan and Russia over the same period. 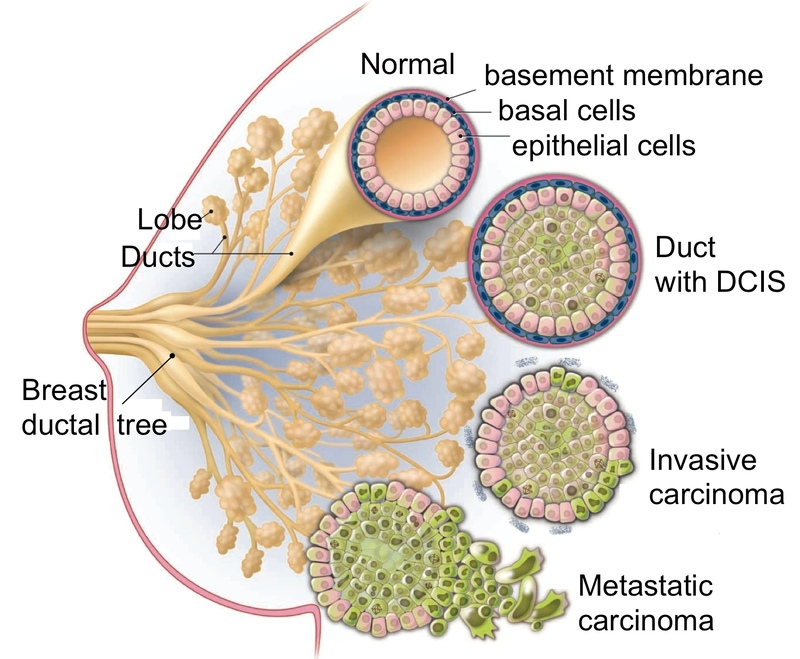 In “Dare to do less,” Eliot Marshall explores the vexed problem of ductal carcinoma in situ (DCIS), a diagnosis that only sometimes leads to invasive breast cancer (see image below). Rather than aggressive treatment of all DCIS patients, some clinicians and scientists advocate the use of genetic tests to predict which patients will develop invasive cancer. Sam Kean reports that since the discovery of BRCA genes in the 1990s, dozens more cancer genes have come to light. However, there is still some uncertainty about the risk they pose and what to tell women who carry these genes. Frances Visco, president of the National Breast Cancer Coalition, is described as “the most influential nonscientist ever in the field of breast cancer research.” A lawyer and breast cancer survivor, Visco accomplished something extraordinary 22 years ago: she persuaded Congress to fund a research programme managed by the Department of Defense, and since then it has awarded nearly $3 billion in grants. Excellent edition! Thanks for the info.